Of course, once I've kind of figured out that whole contouring shenanigan, a new strobing technique is on the horizon. But for those of you who are not going to give up the contouring thing yet, here's a set that is not only pretty in the pan, but also on the face. For a very long time I used to contour using just a bronzer. 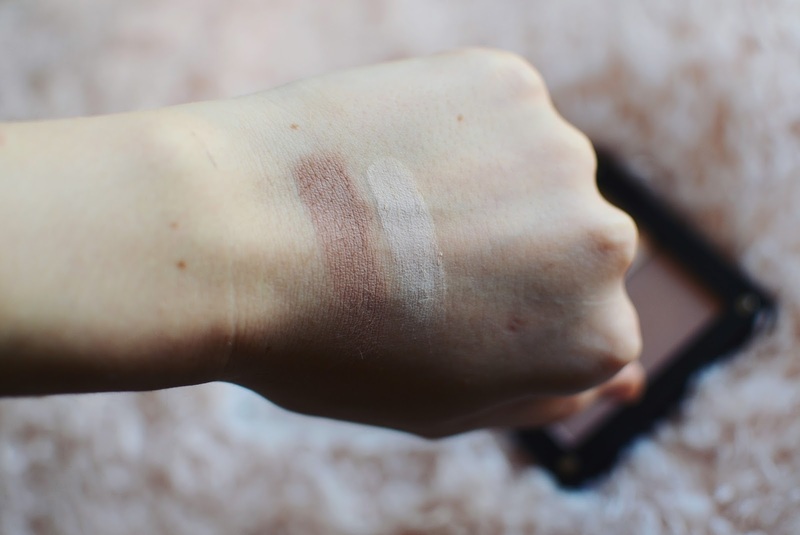 Then the next came the NYX blush in shade Taupe, but I never really got the result that I was aiming for. I wanted that contour to be a little bit dustier, even muddier. So when I was in the mall, where also is the Inglot store, I decided to pop by and see what shades they had and give them a little test run in the store. First of all, I have to note that the shopping experience at these kind of stores where also makeup artists work is such a pleasure and makes the experience so much more enjoyable, because they understand what you're asking for and can help you to find the perfect shade for you. The girl that was working there that evening even offered to test couple of shades on me, so that I could make the right decision. I think we tried around three or four different shades until I settled with the shade 504. As I wanted to get the Freedom System palette where to put it in, I also got the lighter shade 503 hoping it would work as a highlight. Both are powders that have a high pigment color concentration, so that means you can easily get a good amount of the product on the brush, but because of this you can also very easily over do it. Because of this I like to build up the shade slowly by taking the product off on the back of my hand before applying it. This way it blends out really nicely into a defined but realistic shadow. The highlighting shade is not as pigmented as I would like, so I don't really use it on the tops of my cheekbones. 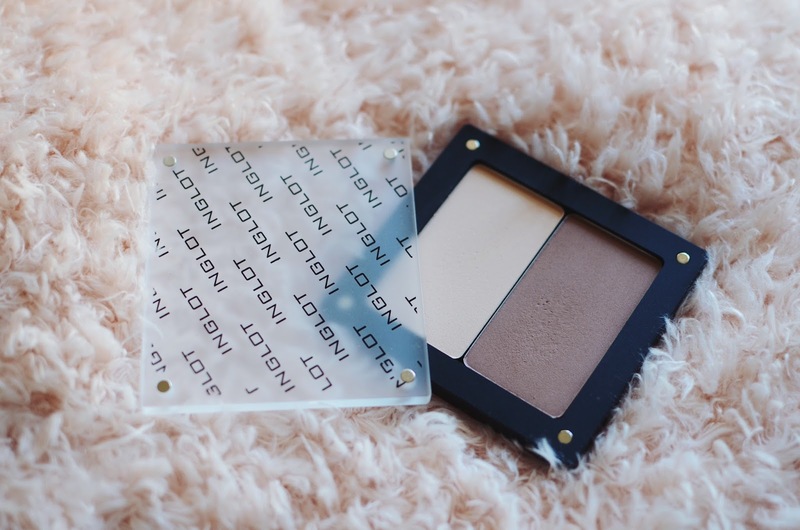 I prefer to use it under my contour to clean it up a little and make it even more defined and under my eyes as it's a lot lighter shade than my powder. But all in all both shades tick all the right boxes. They are long-lasting, pigmented, aren't patchy and are blendable. What is your favorite contour product? Do you prefer powders or creams? 7 comments on "INGLOT POWDER SET THAT, I PROMISE, WILL GIVE YOU A NICE CONTOUR"
Man vairāk patīk kad izgaismotājs ir ar mirdzuma daļiņām, šis ir tāds matēts. Brūnā krāsa izskatās laba! Can you tell me please, where did you buy this Inglot freedom palette? 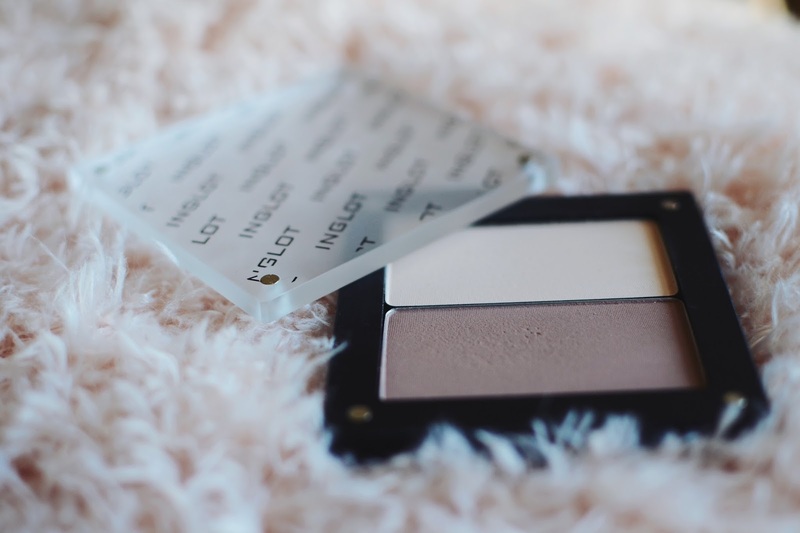 I`d like to buy two HD Sculpting Powder (these two exactly) and this palette would be perfect but I can`t find anywhere. Thank you Laura, I found everything online.